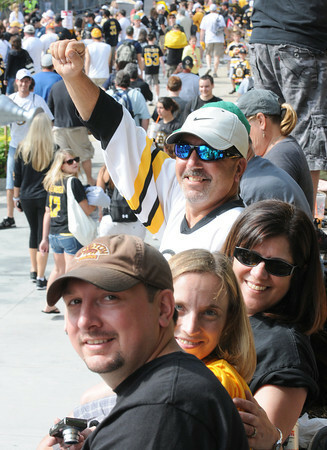 Boston: Long time Bruins fans from Gloucester Brian Lopiccolo his wife Cathrine and Rose and Bob Lopiccolo celebrate at the Bruins Victory parade held Saturday in Boston. Desi Smith/Gloucester Daily Times. June 18,2011.